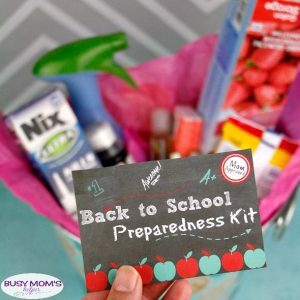 School is starting again, and while some parents are worried about finding the exact binder type, size and color listed on their supply list or others are struggling to figure out the drop off routine, there’s parents that a truly worried about their child’s safety, because their kid is going Back to School with Food Allergies. So what can parents stressing about allergies do about their child going back to school? Find out everything they can to be prepared, but also educate themselves to make the best decisions possible for their young one. Do y’all remember last month when I told you about the School Nutrition Association conference I was able to attend, and how much I learned about the different aspects of the school food programs? One thing I kept asking for more information about was allergies. I consider myself extremely blessed that none of my kids have food allergies, but do have several friends that don’t get that relief. Some are dealing with allergies to peanuts or gluten, others to dairy or soy, some a combination of multiple allergies. Speaking with them, I hear their worry about if their kid will be adequately taken care of at school to ensure they’re as safe as possible. Back to school should be an exciting (although stressful, I admit) time, not a time to really question if your kid will be ok or not. After chatting with many vendors, school officials and others at the School Nutrition Association’s conference, I felt so much better at everything they’ve taken into consideration to keep the kiddos well taken care of, whether they eat breakfast, lunch or even snacks with the school food program. First of all, at the conference there were plenty of vendors looking to have their foods selected and added to menus at schools that offered several allergy-friendly options. Gluten-free grain options, alternatives to dairy, and even some seed butters that would be perfect to replace peanut or other nut butters! One in particular – 88 Acres – had samples that I really enjoyed, plus shared several recipes using their seed butters (they also offer snack bars and such) so kids can still enjoy a SB & J (Seed Butter instead of Peanut Butter!) and perhaps not feel like they’re missing out. It was really tasty, especially the pumpkin seed one! One thing I was curious about – how can schools ensure a child with allergies doesn’t accidentally get served the incorrect thing. This is especially worrisome if the child is still young enough they may not be fully aware or understanding of their particular allergy. One program I was shown at the conference expo actually was a full check-out system, so when a child scans their card or number it pops up with any alerts or information that the staff member needs to know. That alone can make school meals much safer. Also in that program, they can set it up to show SUBSTITUTION options that are okay for that particular child – so the staff can safely provide a quality meal that meets their needs while avoiding troublesome or dangerous (for that child) foods. It can help track insulin records or other medical information necessary for the school nutrition program to do their best, and helps handle alerts that may need to be sent out – such as the weekly menu to parents so they can see it and go over what is or isn’t okay for their particular situation. I was so excited to learn of the many ways school meals can be made safer, even for kids that have allergies. I don’t personally know the stress that parents of children with food allergies deal with, but I imagine it’s immense. Luckily there are options available to make school less overwhelming in those cases! If you’re a parent with a child (or children) that has to deal with food allergies, my heart goes out to you and the battle you may have while raising them. I highly encourage you to talk to your school nutrition director about how they handle things like that, and the ways they’re making it as safe as possible for your kiddo. Speaking to some directors and other staff of school programs at the conference, they all seemed to truly care about the quality and safety of the food being served – for ALL the kids, not just those without allergies. So don’t hesitate to reach out! Once you handle that, you can focus on some of the other exciting aspects of back to school – like family reading time! If your child has allergies, how do you handle it best? Note: these are programs/foods that are available and used at some schools, but keep in mind not every school may use the same programs/policies – I recommend checking with your school with questions. I remember when I hit the teen years, I thought I knew everything that I need to really be an ‘adult’ – yes, you can laugh because oh my word, was I wrong! Knowing just how unprepared I was, I know the importance of Teaching Teens Life Skills, especially since my older kids are almost teenagers. That’s one reason I’m really excited about the 4-H Wellness 360º program – it not only helps to set up secure habits for their families and community in their futures, but it’s even driven by 4-H TEEN leaders! That means that this program, supported by Target, uses the proven influence of young people by engaging the teens to lead and empower their friends and peers, setting up the lifelong healthy habits they’ll need. I think one area that can be a roadblock for teens is confidence, so having the 4-H Wellness 360º program makes sure they have the knowledge and experience to help build that confidence by offering nutrition education, cooking classes, even yoga class or lessons on avoiding risky behaviors. Once they have that strong framework to live a healthy lifestyle themselves, teens can help share that with others – making this incredible chain reaction for teens to really help shape their future in a bright, healthy way! I’ve always loved the idea of teens educating younger youth – sharing their experiences, what they’ve learned, and acting as good role models. Peer pressure can be a strong thing, whether good or bad – so this program really helps use that for the GOOD. It also helps that this age is critical for growing skills and establishing behaviors, as well as when they can be most influenced (again, for good or bad). My oldest hits 13 at the end of this year, and it kind of has me terrified. There was a lot to prepare for in the ‘real world’ that I wish I’d gained more knowledge and experience with as a teen – and in today’s society there seems to be even MORE I want my kids ready for. More and more, it seems that teens-turning-adults don’t have essential life skills – such as cooking, or how to grocery shop wisely – to help them. I’ll admit, I only knew how to cook a few very simple things when I went off to college – and I was even one of those people who didn’t know not to put the dish-soap type into the dishwasher! Ya, that was a messy learning experience. I’m so glad there’s programs being made like the 4-H Wellness 360º program to really provide those skills, and especially to teach them how to make not only healthy decisions, but smart and GOOD decisions in their future. My girls are 11 and 12, meaning that in less than 2 years I’ll be the mom of two teenagers. I’m trying not to panic, but have to admit that it really freaks me out! I was a HORRIBLE teenager and put my mom through so much, I can only imagine what my girls have in store for me. I’ve collected some tips for Preparing Kids for the Teen Years – maybe they’ll help you other soon-to-be-teen-moms, as well! It may be challenging, but at least we don’t have to be preparing for teen years alone. Yes, I mean ‘puberty’. This is definitely not a favorite topic of most people, and it can be an uncomfortable conversation for parents to have with their kids – but it’s super important that you discuss it with them. It’s probably best to talk about the changes they’ll go through – the physical as well as the emotional – before they’re overwhelmed in the middle of it all. The more you treat it as a very normal thing (because it IS a normal thing! ), the less embarrassed they’ll be by it. I remember when I first hit puberty (it was a bit earlier than the other girls) I wasn’t too embarrassed – it was a normal part of life, so why make a big deal? But when other girls started acting like it was this awful, horrifying thing that had to be kept hushed and secret, I began to let them convince me it WAS weird. Help your kids feel comfortable, which will also help their confidence. When kids are little, it can be frustrating to hear every little thing about this one show or random game, or perhaps a tidbit from school that happens almost every day. It takes a lot of our energy and patience to seem interested in what WE consider the ‘little, unimportant things’. But guess what – they may be important things to THEM. And if we help them learn that we’re happy to listen and will be there for them to go to when it is the more ‘minor’ things, they’ll feel more comfortable coming to us when it’s a bit more major. We parents expect respect from our kids, but it’s extremely important that we reciprocate. If our kids don’t feel like we respect them back, why would they want to share these crazy things going on in their life? Why would they trust us to react without judgement or criticism, or trust any advice or thoughts we may give? This is suggested in so many aspects of life, and with teens it can save your sanity! There’s going to be so much going on, that you can’t nitpick or comment on every single thing that may not be perfect. Save it for the things that will truly matter. If you spend all of your energy fighting about a clean room (not saying they shouldn’t clean their room, it’s just an example), then how much MORE are you going to feel the need to fight about things like dating, drugs, school, good friends, etc. Just like I mentioned earlier – what we consider to be little or insignificant may be very important to your teen. Don’t shrug things off or downplay how much it matters, or they may not come to you with anything. Kids kind of learn that actions have consequences when they’re younger – hitting your brother may get you a time out, or not doing your homework may mean missing out on a school event. When they’re teens, actions matter more and have more lasting or severe consequences. Make more of an effort to teach them, so they can understand their choices better – and hopefully make better ones when life throws obstacles or unwise things in their way. While we should expect more responsibility of our teens, keep in mind that they’re not only still learning – but their brains are LITERALLY not fully developed. Their frontal lobe isn’t to the level of an adult yet, so be reasonable with your expectations. Guide them, give them some slack, but help them so in the future they’re prepared. Not only prepared to do well in school and make educational or career choices, but to also be prepared to support themselves. One of my biggest frustrations as an adult is finances, and a large part of that is because I was never taught. In the teen years, it’s crucial that they learn good money sense – how to earn it well, manage it well, and especially to save and avoid debt. This lesson can make a MAJOR difference in their future, trust me! It’s pretty natural for people to focus on themselves – especially teenagers. Help teach them to serve others, to recognize and focus on the feelings and needs of others. This will not only help them become amazing adults who can make a difference in the world, but will help them have a happier life because they’re not just focusing inward to themselves. Looking back, it’s clear that much of my teen years were spent on a rollercoaster of emotions – not just day to day but even minute to minute. The biggest stress was not knowing WHY I’d be crying one instant and fine the next. Or crying and feeling angry but not understanding why I felt that way. I’m trying hard to point out to my kids that it’s normal – their hormones are going to go out of whack as they get closer to the teen years, so it’s literally a chemical imbalance in their body causing that. It doesn’t mean they’re unreasonable or ridiculous. And it may help them get past those mood swings better when they understand that’s all it is, and that it’ll pass. Parents often talk about ‘good friends’ or ‘bad friends’. It’s important to not push your child away by criticizing their choice of friends, but find subtle or creative ways to help guide THEM to point out ways the friends may either be helping them in their life – with their goals and where they want to go in the future – or hindering that. That can help your child make their own decision about their friends! Pay attention to your child, their actions and words – and even more subtle things – just to keep an eye out for warning signs of really bad choices that could hurt their lives or futures. Catching things before they get too far can make a huge difference in redirecting things and getting back on the right track. It’s really easy to get frustrated – my kids aren’t quite teens YET, but I still feel like I’m going crazy dealing with all the pre-teen drama and such! The thing that’s helped me the most is remembering when I was a teenager, how crazy it was and how difficult to understand everything. This helps me see from their perspective a bit, and grant a bit more patience. Wishing luck to us all as we’re preparing kids for teen years! 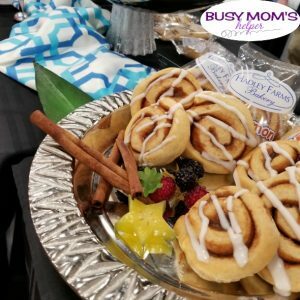 Between running kids to dance class or karate, helping with homework, managing the cleaning, making meals and the million other tasks we busy moms do, it can be difficult (and nerve-racking) trying to handle it all. I’ve been trying to find different systems that can assist with things, making life just a tiny bit easier. If you’re a fan of a useful app, then check out these Best Smartphone Apps for Busy Moms! Keep in mind, everyone should make their own best decision when choosing what to download and use, so please make sure to check into things for yourself. 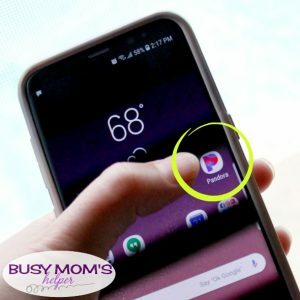 This list is just my opinion of some helpful smartphone apps for busy moms that may take off some of the stress. From finding a sitter, to tracking to do lists and even great music streaming, there’s a bit of something for everyone! All of the following apps are available on both Android and iPhone. 1. Allrecipes Dinner Spinner – Are you getting tired of cooking the same things week after week? The Allrecipes Dinner Spinner app can give new recipe ideas to add more excitement to your meals. 2. UrbanSitter – If you’re tired of using Care.com, you might consider trying out UrbanSitter. You can find and book baby sitters using this app and even pay by credit card! Always use caution and check people carefully when hiring someone to care for your children. 3. Have2P – One of the most frustrating things is when your child has to use a restroom and you’re not sure where to find one. Fortunately, Have2P has got you covered! This app can help you locate public restrooms, which can be a LIFESAVER for a busy mom playing chauffeur all day. And yes, I totally did a double take and laughed loudly when I read the app name! 4. Remember the Milk – You won’t have to worry about forgetting the milk – or calling your child’s teacher or scheduling that vet appointment – again! This to-do list app will remind you of things that need to get done to help you stay organized. No more keeping our extensive task list in our head – because we don’t have space for that! 6. Google Keep – this is where hubby and I keep lists of things, such as tasks or shopping, so that we can both add, delete, organize or whatever and access it from phones or computers. These are just some of the best smartphone apps for busy moms, and we’re sure there’s also many more to help make life a little easier. What’s YOUR favorite family-friendly smartphone app to help busy moms? Summer is pretty predictable when your kids attend public school, but many are not sure how to plan summer when you homeschool! Maybe you’ll take time off, maybe you’ll work year-round, or perhaps a combo. Either way, it’s likely that schedules will be a bit different – so here’s some tips to help. As a homeschooling parent, you have more control over when and how you educate your kids, but it’s pretty normal that summer will interfere at least SOME with your regular plans. 1: Decide if you will break for the summer – Will you go all year round, or will you take some weeks off in the summer months? This is the most important first step to determine. If you go all year, you won’t need to change your schedule very much. If you break, you will need to plan for that and adjust your schedule accordingly. 2: Determine what time you will doing certain things – When will you wake? When will you eat lunch? Will the kids nap or are they too old for naps? When is dinner and bedtime? Making your summer schedule involves knowing when you will be doing these important things. 3: Plan your summer schedule – Now sit down and write out the full summer schedule. Remember to remain flexible, but having a schedule in writing helps everyone know what to expect so things go more smoothly in summer, and all year long. This also helps for adding in any fun vacations or outings you may have. Now that you know more about how to plan summer when you homeschool, you’re ready to get started! Whether the summer has already started for you, or you’re just getting a head start on next year, it’s good to have a game plan in place so everyone knows what to expect. If you homeschool, how do YOU do summers? Considering a Pool Fence for Safety? One of the biggest things we wanted to take care of as soon as we moved into our new house was to install a pool fence. Once we chose which house we would be buying, knowing it had a pool (I admit it, it was a huge selling point for our family! ), we took to the internet to find which option would be the best for us. I was surprised at how many different companies and types are available! We finally found the one that would work best for our family, and today I’m telling you all about our experience in case you’re also considering a pool fence for safety. Just a note – we did NOT receive any compensation, discounts, anything at all in exchange for this post. Protect-A-Child doesn’t even know I’m writing this! First of all, you need to decide what your main reason for having a pool fence is. For looks? To just keep out neighbor kids who may find their way into your yard? Large pets? Or do you have children that you want to keep safe from the potential dangers of a pool? Ours was the kids and pets, but I will say that I also wanted something that looked good, as well. Nobody wants an eyesore around their fabulous pool, right? Some of the fences we looked at were more flimsy – if pushed hard enough by a large kid or animal, it could knock over and/or break. That definitely wasn’t what we wanted! We also found some that would work amazing – for a few years – but then would wear out or become too old to be sturdy. Finally we found one that would LAST a long while (they offer a limited lifetime warranty) and was extremely durable – Protect-A-Child! The poles they use are semi-bendable, making them extremely unlikely to snap. When looking at them myself, the fabulous Greg (who was showing us the system) even had me TRY to put all my weight on it – but it moved just slightly. He even tried with his weight, and just a little give. Not enough to bend it over much, but just enough give to make it durable. My kids – and even my big, heavy dogs – aren’t going to be knocking these over or breaking them! They’re inserted into holes in the cement (they drill the holes for you), and latched into place. You CAN remove them by giving the pole a certain twist and pulling it out. Not something a child could do themselves, but adults can if you’re in the mood to remove the fence – such as a pool party! For when you do want the poles out, they give you little caps to cover the cement holes – so water or other junk doesn’t get in there. Each panel is about 3′ wide (can be cut shorter if the size demands, such as with our steps), and they’re connected at the top by a secure fastener that takes two strong hands to unhook. Again, not something a kid can do. The mesh is sturdy, and doesn’t give when our heavy dogs lean or brush against it. The gate automatically closes and latches. To open, you pull up the handle and pull the gate open. There is a key lock as well, so you can really make it safe as needed. They’ll come out and do a demo for you – really fast and simple. You get to see the poles, latches, netting, everything. They measure the area and discuss your options, then give you a no-obligation quote. After our demo, we talked a bit and decided to go with Protect-A-Child, so we gave Greg a call and scheduled out installation date. I was so impressed with the techs that came and did our installation, as well. Very professional, and much faster than I expected! They measured everything out, making sure to check where/how we wanted the fence line. Then they go to work drilling the holes, measuring/cutting/sizing the panels, and getting it all put in. After they were done, they made sure I knew how everything worked – the gate, taking out/putting in the poles, unhooking the top latches, etc. They gave me the warranty papers and the invoice, I paid, and that was it! Greg called later to make sure everything went well, and to let me know to call if anything needs adjusting (the gate may settle after a bit, then they come and adjust it really quick for you as needed). It was a super easy process, and more affordable than I expected! For our fence, we paid $16 per foot, plus the gate was $325 and then it was $25 for the lock-in feature (a no brainer, in my opinion). For our 102-feet of fencing, our total after tax was $2145.51. That’s INSTALLED, so no extra or hidden fees. We LOVE our fence – not only does it look great, but we don’t have to worry about the dogs or the kids accidentally getting into the pool or some other potential danger like that. That piece of mind really makes me one happy mama! As parents, it’s our main job to keep our family safe the best we can. Having helped my mom with her in-home daycare for many years, I already knew of many potential dangers when I became a mom. There’s still some that I didn’t learn about until later, though, and have had to adjust to keep my kids as safe as possible. One Household Safety Concern I Didn’t Know About until after having kids was cords on blinds – that was a big change we had to make! It’s so easy to take care of the ‘larger’, more apparent items in your home when you have kids – baby gates on the stairs, outlet covers, knives put up high, those ‘kid leashes’ to help avoid getting lost or run away, etc. There’s a TON when you start to list them out! Until a few years into parenthood, I didn’t even think of the danger posed by corded blinds, and we all know that kids + cords do NOT mix! Sadly, there’s plenty of stories out there of children who accidentally were strangled by random hanging items – be it cords, belts or similar. This is why it’s super important to use cordless window coverings and blinds in homes with young kids OR to use ones that have the cords inaccessible. I’d even go as far as to say that if you don’t have kids but do have pets, make sure either the cords are high enough your furry little ones don’t get tangled accidentally while playing or that you go with the cordless/inaccessible cords. This is our first full week in our ‘new’ house – and it’s the first house we’ve owned that wasn’t actually NEW which meant we didn’t get to pick out the blinds ourselves to ensure they were safe. We’re learning all sorts household safety concerns with a 20-year-old house versus a newly built one, a big one being we need to check all the blinds, shades and window covers for cords. Older window products with cords were a lot more common in the past, so I already am planning to switch some of the older corded ones with today’s safer products ASAP. If you’re not sure which items are the safer choice, just keep an eye out for the Best for Kids™ certification label while shopping in stores or online – it makes it simple to identify which products are the better choice for homes with young children. Of course, there’s some household ‘dangers’ that we can’t always protect our kiddos from – such as that naptime they try so hard to put off! Whether you’re also moving into a ‘new’ house, or just like refreshing your home for Springtime, it’s a great time to take some safety precautions that may be overlooked during the busy-ness of the rest of the year. You can even check out the Window Covering Safety Council on Facebook for more info to help you get your household safety concerns put to rest. What household safety concerns were your biggest surprise?